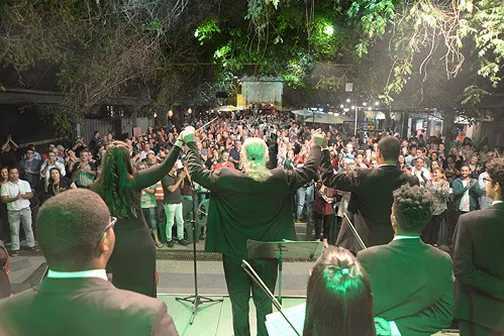 TeachBeyond Brasil is a partner in the fourth annual Gramado In Concert, the international music festival to be held February 16 to 24 in venues throughout the city. Gramado, a tourist city located in the mountains of Rio Grande do Sul, is where the TeachBeyond Brasil headquarters is based. There are nine private apartments in the mission headquarters where some of the 180 musicians will live during the festival, as well as more than 25 rooms for rehearsals. The performers and their families also will have use of a large green area, soccer field, sand volleyball court, swimming pool, children’s playground, and adventure area with zipline and climbing wall that are all part of TeachBeyond’s Gramado campus. 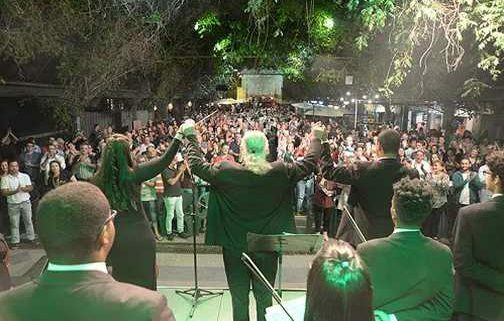 Gramado in Concert is a festival of orchestras and big bands, where the main type of music played is diverse forms of classical. The bands and groups are formed right before the festival starts through auditions on February 16. Musicians from all over the globe receive the scores to practice in advance but the groups are only formed the first day of the event, which adds a unique twist to the festival. For the event, two orchestras, two bands, a guitar orchestra, and one big band will be formed in Friday’s auditions to play throughout the 54 performances scheduled.